Gommy had the most liked content! Just ordered a set of eyebrows from trc which should be here next week. Had my subwoofer with bulit in amp wired in on Saturday as I wanted more base,and sure does give hell of a lot more! Next weekend if the weather stays as it is il be spraying my fogs and upper rear diffuser gloss black, and tint wing mirror indicator case. Part fitted, will find a link later on. Had my smoked 3rd brake light come tonight! Will fit it tomorrow, did a test fit and is a perfect match to the OE part. Knew i'd forget my torx screwdrivers at work. Ceuk were hopeless for me Aswell! Autobeam or PW performance for lights mate, wouldn't go anywhere else! Sprayed my reflectors over the weekend which look great not too dark either. This weekend I will be spraying the fog surrounds, upper rear diffuser gloss black. Also fitting a dash cam, for the just incase. 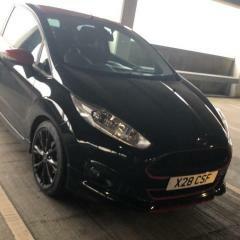 Ebay mate, bought one for a focus but comments say it fits a fiesta st spoiler, il let you know if it does. Has my Sunstrip fitted by SAB Style Sunday. Also ordered a smoked third brake light for my spoiler to match my two rear smoked lights. I personally don't trust it. 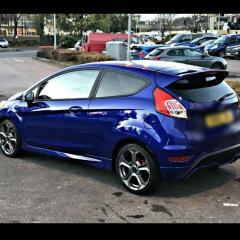 The amount of stolen fiesta St's on Facebook and all owners stated they had the original alarm with no disklok etc is crazy. 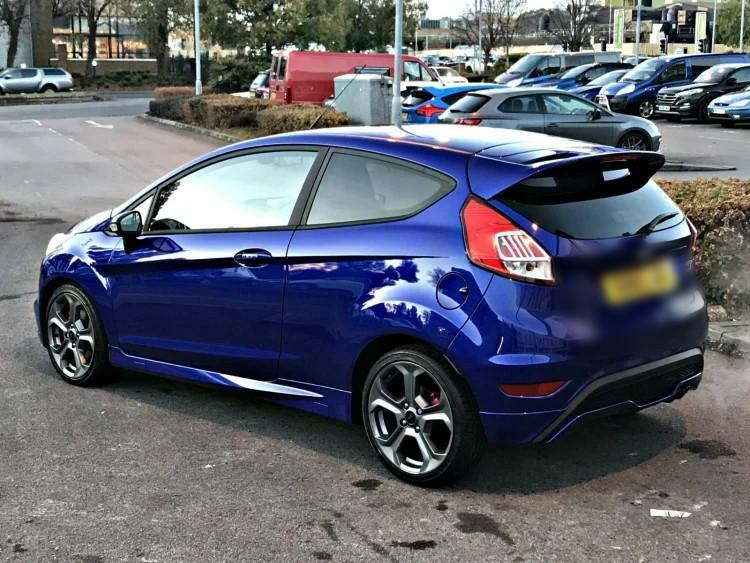 I very rarely see a stolen fiesta st with an aftermarket alarm and disklok. The guy that fitted my alarm system says the standard St system is hopeless and isn't good at all. -- Either way, alarm is fitted and just gives me peace of mind now, alarm has its own speaker and is a can bus system so it'll go off at any door/boot/bonnet etc being opened or ignition attempted to start without being disabled.